Windows application development company in Dubai. Windows platform is one of the most compact versions of the powerful desktop Windows operating system. Windows has always been the preferred choice for both technical and non-technical users. It provides developers with scalability and a variety of options for developing custom Windows applications. With admirable options and functions, you can easily make your computing activities more convenient. If you are searching for a standard service provider who can guide you with effective Windows application development, we are your ideal choice. Our team of professionals has required knowledge to develop robust Windows based applications. We aim to accomplish your needs in multiple ways. Hurry and connect with us soon to get the best Windows application solutions on call. For further details, connect with our experts irrespective of time. You need not worry about the quality of our services as we have the complete idea and expertise which help you to excel in your field. Additionally, we use the finest resources to enhance your Windows based application development. You can blindly trust our services as we are aware of the ins and out of application development with Windows platform. Are you looking for trustworthy Windows Application Development Services? Interact with us now! Our team comprises efficient developers who are tech-savvy and meticulous to handle any Windows application problems. We are capable of developing all sorts of Windows applications appropriately. Our services are preferred by clients because of our on-time delivery of projects and transparency of business policies. We have a track record of creating versatile apps on various platforms. Get innovative, fluid-design, cost-effective, and standardized processes from our qualified experts. Our primary goal is to create amazing user experience. Do not delay in connecting with us. Remember, we are just a call away. Our team helps in developing Windows based application in such a manner that it serves the purpose of exploring your business. 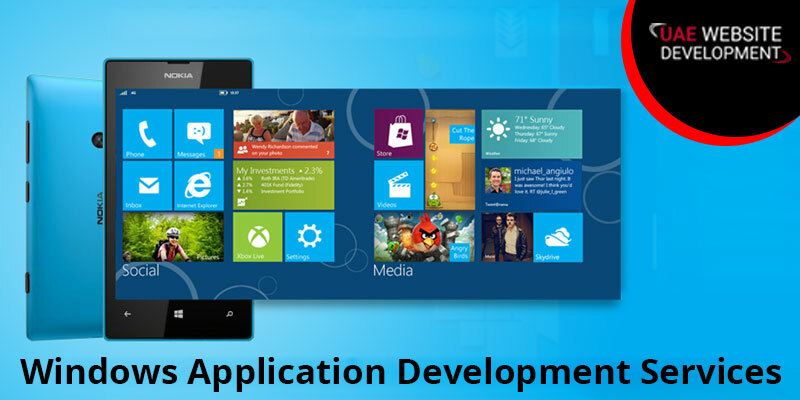 Therefore, it is essential for you to avail Windows application development services from our proficient experts. Reaching us involves a few simple steps. You can call us on our helpline number 042053349. We are also available via text messages, live chat window, and emails. We value your money and hence, we offer you our services at a reasonable price. Contact us today to enjoy a premium quality services without damaging your pockets.